Browse today's newest Castleridge homes for sale & Calgary real estate listings below. Castleridge is a residential community in the north east zone of Calgary, Alberta. 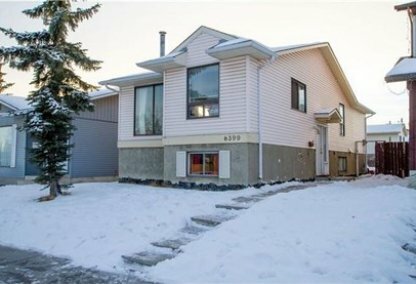 Located east of the Calgary International Airport, it is bounded by 44 Street E to the west, Falconridge Boulevard to the east, 64 Avenue N to the north and McKnight Boulevard to the south. Discover the hottest neighbourhood properties for sale! Schedule a guided home tour today with your Castleridge Calgary real estate agents. Castleridge housing market statistics: As of April 24, 2019 there are currently 13 properties for sale in Castleridge listed as active, with an average asking price of $361,061. The highest-priced property is $439,900; the lowest priced property can be purchased for $269,900. Castleridge neighbourhood listings have an average price of $325 per square foot, based on listings with 4.5 bedrooms, 2.5 baths, and 1,144 square feet of living space. Want to purchase a home in Castleridge? 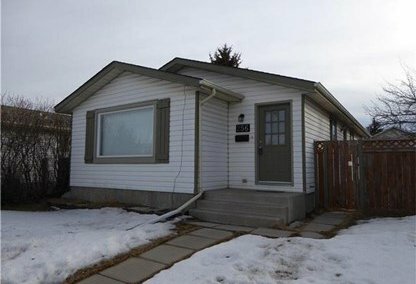 Call your Castleridge real estate team, Justin Havre at RE/MAX First - 403.217.0003. Your neighbourhood Castleridge real estate agents and agents are here to help with the Castleridge housing market in Calgary. The neighbourhood of Castleridge is represented in the Calgary City Council by Ward 3. It was established in 1980 on land transferred from the Municipal District of Rocky View to the city in 1961. The community association of Castleridge/Falconridge is one of the most active in Calgary. It is the only community association in Alberta to be run on the Carver Model of Governance, which means that the day-to-day operation of the association is run by the chief operating officer and his staff. They make sure that the direction set by the board of directors is harmonious with the daily operations of the neighbourhood. Based on records, only a small portion of the buildings in Castleridge are condominiums and apartments, while 24.8% of the houses are used for renting. The Castleridge community is affordable and in 2006 the neighborhood had a population of 6,180. The Castleridge community offers numerous activities and programs. The North of McKnight neighbourhood resource centre offers 19 social services to help area residents which include counseling, baby clinics, immigrant services, parent support and financial aid. The community centre also has 8 preschool classes. The centre houses the office and recreational centre of the Boys and Girls club of Calgary. Attached to the community centre is a trailer that serves as a popular youth drop-in centre, complete with a pool table, video games, and concessions. Other programs offered in the centre that target local teens range from makeup application to river raft racing. Thinking of buying or selling a home in Castleridge Calgary? Let our local real estate agents help guide you through the purchase of your next home, or to expertly negotiate the sale of your current home. As local Castleridge real estate agents, we're experts on the market dynamics unique to the Castleridge real estate market. We'll get to work for you today! Contact Justin Havre at RE/MAX First - 403.217.0003 to learn more about buyer or seller representation. Planning to sell your Castleridge home? Check out our free home evaluation, where you can instantly price your Calgary home price your Castleridge home online, in minutes!